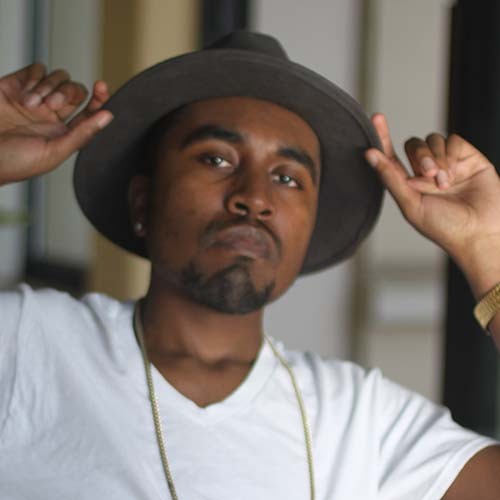 Billboard Songwriter/Producer James Worthy is one of the breakout producers in the industry. Worthy has taught himself all the tips & trades when it comes to creating a masterpiece within his musical ability. Accompanying his musical flexibility, James has credits with various artists including Grammy Nominated Musicians & Award Winners like B Angie B, Arrested Development, Men At Large, Silk, Sara Stokes, Robin S, Tony Sunshine of Terror Squad, Truth Hurts, Bobby Brown, Petey Pablo, Yung Berg, Bonecrusher, Lazaro Arbos, T-Pain, Tyra B, Future, Amanda Cole of En Vogue, Bobby Valentino, Michael Keith of 112, Lil Zane, and so many others. James began making his own beats around the year of 2009. He began using production software programs like Propellerhead Reason where professionally he jump started his career. His first break came from producing a record for Yung Berg entitled "Electric Disco" who is popularly known on the reality show "Love and Hiphop Hollywood". Fast forwarding throughout the years he has produced Dr Dre's former artist Truth Hurts latest UK hit "Fight 4 Love", Sara Stokes formerly of Making The Band hit single "Sneak Peek", Kesan Moore of The Walking Dead street hit "Inked Up" featuring Kwony Cash, African International Pop star Zaena Morisho's smash 2016 hit single "One Thing" over 280k views, B Angie B's latest single "Shake" and so many other records. James is currently touring and has been featured on TMZ, Access Hollywood, and BET's new docu series From The Bottom Up.